To boost social media presence and increase retail sales of The Vision Center’s designer eyewear. 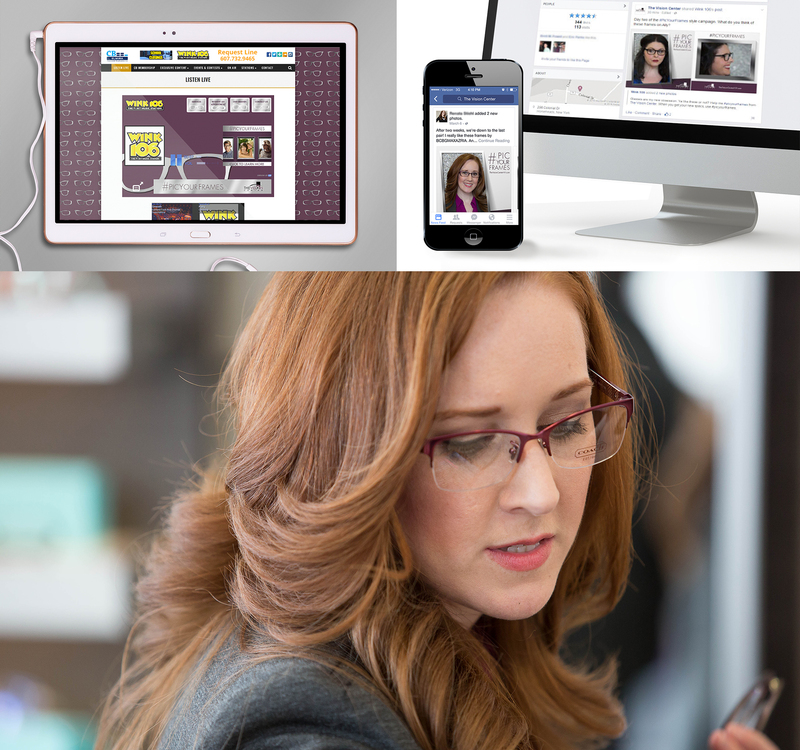 Increase The Vision Center’s social media presence and develop a two-week cooperative social media campaign promoting their optometry practice and selection of designer frames. Also utilize radio and television by partnering with two primary regional media partners. The #PicYourFrames campaign was a success, especially on Facebook. Significant spikes in activity were seen throughout the campaign, as well as a 20% increase in page likes and a 22% increase in engagement for The Vision Center. The campaign also received a 2015 Silver Davey Award from the Academy of Interactive and Visual Arts.